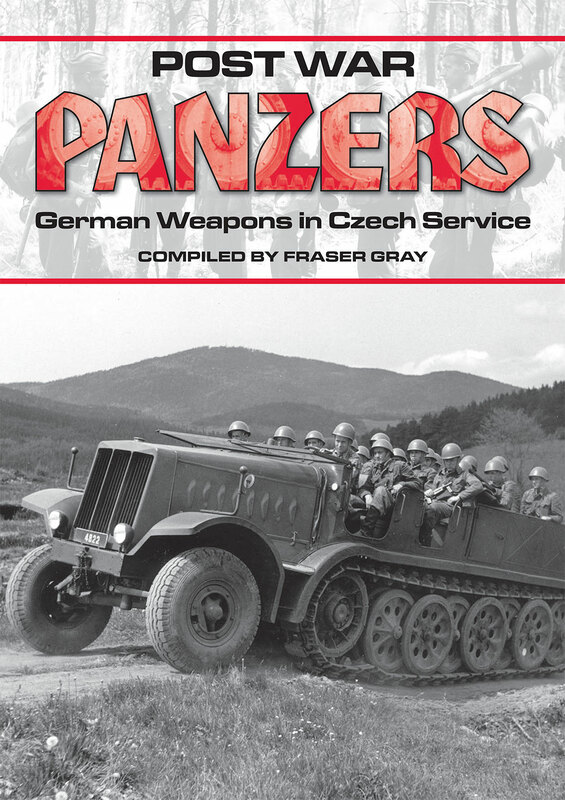 An exciting new 44 page photographic title from Guidelines Publications 'Post War Panzers' compiled by a name familiar to many, Frazer Grey. This title contains many quality photographs (some in colour, all are captioned) of German armoured vehicles captured in the Prague uprising, 5th 9th May 1945, notably the Jagdpanzer 38(t) 'Hetzer' (in various stages of completeness), half-tracks and armoured cars, others of vehicles manufactured again when the liberated Czech workers returned to their munitions factories. These vehicles were adapted and integrated into the Czechoslovakia army, after the cessation of hostilities.